About Us - Custom sports posters, personalized team collages, senior banners, and team schedules for your athlete! 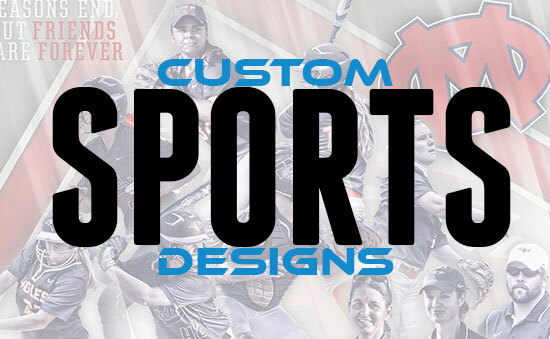 About Us - Custom sports posters, personalized team collages, senior banners, and team schedules for your athlete! 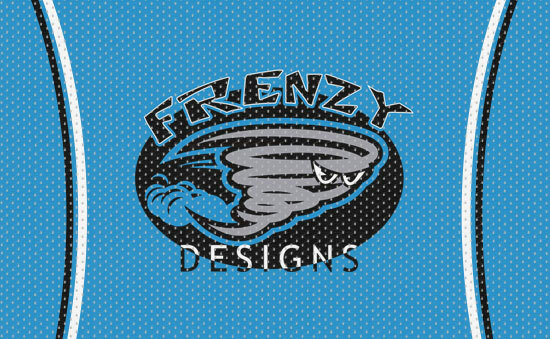 Frenzy Designs is a sports design company that specializes in creating custom products, like banners, posters, team gifts, and schedules, for youth sports, high schools, and colleges. Nothing celebrates a season, a team, or a championship like having something special that parents, coaches, or players can display for all fans, friends, and family to see. We use YOUR photographs to create custom one-of-a-kind sports posters, team banners, player gifts, senior banners, team schedules, and team commemorative collages for amateur and youth athletes to make them look like the pros. We turn YOUR photos into something unforgettable! Over 10 years ago, we realized that player gifts, team banners, youth & high school schedules, end-of-season parties, and senior recognition ideas were way too boring and very cookie cutter. 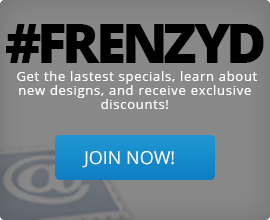 We started creating unique, one-of-a-kind, custom sports designs that helped fill a void for youth sports, high schools, and colleges. You are never too far or too close for us to help you out. With the advancements of the digital camera, it has become easier for all of us to take awesome photos of our kids, teams, and schools! You simply take the pictures, then let us do the rest by taking your photographs to the next level. Don't let those special photos go unused. What started as designs for one school, quickly became a broader area, to a region of schools and organizations, with growth to where we shipped to 43 states and 3 countries last year. Athletics and extracurricular activities play a role in shaping our lives and teaching us so many “life lessons”. The friends made on various teams and the relationships built with teammates and coaches are still cherished amongst most of us today. The friendships that were made in the locker room, on the practice field, during the championship games, on the trips out of town, and in the stands...those last a lifetime. Nothing replaces the camaraderie that comes from being part of a team with unique individuals that share in the joy that comes from all the sacrifice, blood, sweat, and tears from practices and games that are part of a season. We started designing sports posters and commemorative team collages for the players, coaches, parents, and grandparents to have something unique and special to remember all the fun times. All kids, at some point, fantasize about being on a box of Wheaties, or want to be on that poster in the sporting goods store, or on their own sports card. We want to provide you with a professional looking design product for your player, team, or school, but at an affordable price to help meet your budget. Through the years, we have expanded on our basic layouts to offer more cutting-edge designs that make your star player or winning team look like pros. We have also broadened our selection of player and team products to help meet our customer demands for more creative solutions. We all have received trophies, plaques, ribbons, medals, or t-shirts at the end-of-year team party or school banquet. After a few years, they end up either losing their luster, getting thrown away, getting lost, packed away in the basement, or forgotten. We wanted to offer an alternative to the norm gift that would be invaluable and stand the test of time as a great keepsake. When the coach, administrator, or team mom presents our custom sports design gift at the team banquet, we want them to be able to do so knowing this will put a smile on the recipient, because it captures all the hard work, endless dedication, precious memories of their teammates, and accomplishments achieved for each season. Because of our experience in the sports industry, we are sensitive to the special needs of athletic teams and schools. We understand the distinct demands and limited budgets under which these organizations operate. We always work with our customers to ensure we provide a quality design that meets the customers expectations. Before we ship anything, we send a digital proof for your review and approval to help guarantee customer satisfaction. Do NOT settle for some overpriced product that was created from the same boring and average design template that is used every year. Only accept the best that represents your players in a way that will be a keepsake forever.